Aged in both French and American Oak. Aromas of blackberry, blueberry, plum, raisin, molasses, and a hint of vanilla and carry through to the flavors of the wine. 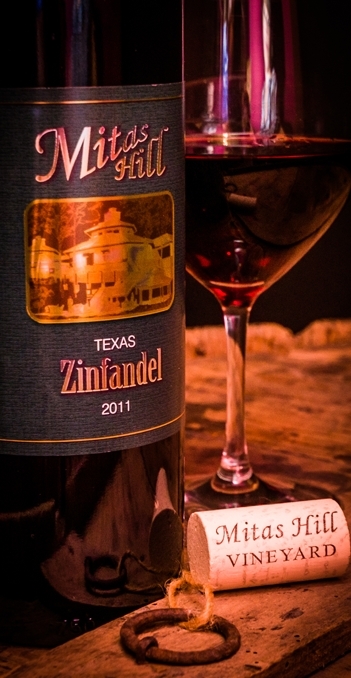 This wine is made from 100% Mitas Hill Zinfandel grapes. Zinfandel grapes darken with color as the Zinfandel vines age. The wine is balanced and provides for unique flavors. "We have been pleasantly surprised by how many people have chosen this as their favorite Mitas Hill wine, including the local racoon population."